XVL Studio enables you to quickly and easily author high quality print-ready and interactive digital 2D and interactive 3D documentation. 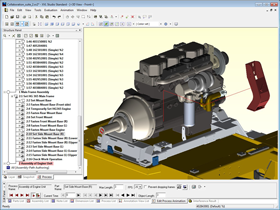 Leverage your existing 3D design data to create documents such as animated or printed work instructions for product assembly, maintenance and repair, printed or online manuals and parts lists, and marketing and sales materials. Documents can be published in standard formats you use every day such as Microsoft Excel, HTML and PDF, or integrated into an existing PLM, ERP or document creation workflows already in place. Maintaining your documents is also quick and easy with XVL Studio’s Auto Update Feature. Design updates can be executed either directly inside of the XVL Studio application or programmatically within a PLM system using Lattice Technology's Enterprise Integration tools. This ensures that the downstream recipients, even in globally distributed enterprises, will always have up-to-date information on-hand. Available in 3 versions, Basic, Standard and Pro, each version provides a different level of capability along with add-on options to meet your requirements. Version upgrades are also easily accommodated if you should require more capabilities later on. 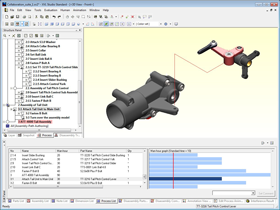 With the ability to leverage your 3D data, and quickly and easily author and maintain your technical documentation, XVL Studio provides the benefit of helping you meet the fast paced time to market, product quality, operational efficiency, continuous improvement, and lean manufacturing demands of today. Also, no high-end design engineering computer required. Most likely your existing desktop or notebook computer will be all that’s needed.